If you are interested in making one of our bulldogs part of your family, please visit our link and fill out an application. The adoption process is built around making sure you will be adopting a bulldog that best suits the needs of the dog as well as fits into your family and lifestyle. EBRN will review your application and then proceed with a phone interview. If we think you are a good fit for one of the dogs currently in rescue, we will do reference checks as well as a home visit. Our adoption fees range from $400.00 to $750 depending on age, condition and vetting. All dogs are current on shots, heart worm preventative and are spayed/neutered. The adoption fee rarely covers our vet costs. 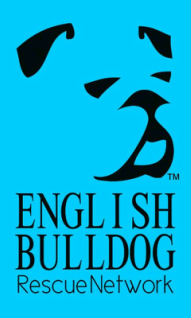 If you are approved through our approval process we will work hard to match you to an English Bulldog in our care or hold your application until a match can be made. Prior to adopting one of our bulldogs, please keep in mind that any and all pets you currently have must be spayed or neutered. We also prefer to adopt to families who have elevator access in an apartment complex or live on the first floor due to problems that bulldogs have with their hips and knees.